A big exective departure for Apple. Bob Mansfield, the company’s senior vice president of Hardware Engineering, is retiring. A 13-year Apple veteran, Mansfield oversaw the engineering of every major piece of hardware Apple has debuted in the past decade — iPod, iPhone, iPad, MacBook Air. He’ll leave the company later this year after transitioning his role to Dan Riccio, Apple’s vice president of iPad Hardware Engineering. 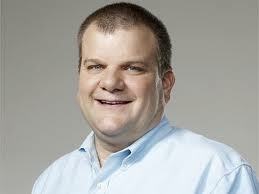 Another Apple veteran, Riccio has been with the company since joining it in 1998 as vice president of product design. Manfield is one of two top Apple executives headed out of the company. Apple told investors that Betsy Rafael, its corporate controller and principal accounting officer, will leave the company on October 19. Rafael joined Apple in 2007.